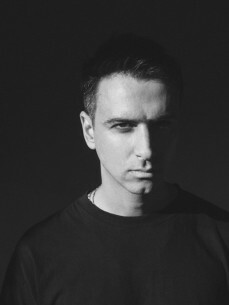 Berlin DJ and producer Alex Ridha, better known as BOYS NOIZE, made his DJ debut at the age of 15, taking a teenager´s love of house and techno to a global scale. He established himself as one of the world's preeminent wizards behind the decks, not only technically but also as a showman. His sets are as uplifting as they are unforgettable. He's been anointed one of the "Top 10 DJ's Who Rule The World" by Rolling Stone, elected “Best Electronic Act” by Beatport 3 years in a row, and lauded by virtually every dance authority. He´s rocked the world's biggest stages, lit up Coachella three times, stormed Lollapalooza, and headlined festivals and clubs on every continent – from Berlin techno temple Berghain to Fuji Rock in Japan and Bon Iver’s Eaux Claires Festival in the woods of Wisconsin. All on his own terms. As an artist and producer, BOYS NOIZE has created a sound that is peerless, uncompromising, and enduring – respected in the scene, banging from underground to mainstream, his work flies in the face of convention at every turn. He’s remixed Daft Punk, Depeche Mode, David Lynch and Nine Inch Nails, collaborated with Snoop Dogg, Jarvis Cocker and Santigold, worked on Mark Ronson’s “Uptown Special” as well as the soundtrack and theme song for Oliver Stone’s film "Snowden" and german blockbuster "Who Am I" , and founded similarly diverse group projects with genius pianist Chilly Gonzales (Octave Minds), Erol Alkan and Mr. Oizo (Handbraekes), to name a few. Ridha is also running his own label, Boysnoize Records (BNR), which he founded in 2005. Originally started to retain his full artistic freedom and in order to release his own music under BOYS NOIZE, BNR became a home for multidirectional quality electronic music, having formed a league of its own whilst escaping any ill-fitting genre pigeonholes. The Berlin-based "non-conformist DIY anarchist collective" (Dazed & Confused) have celebrated its 10th anniversary in 2015 and count more than 150 releases including albums from Chilly Gonzales, Spank Rock, SCNTST, Siriusmo, Djedjotronic, Housemeister and Cardopusher, EP´s from Dave Clarke, Josh Wink, Peaches, DJ Pierre, Strip Steve, Jenson Interceptor as well as BOYS NOIZE´s debut "Oi Oi Oi" (2007), "Power" (2009), "Out Of The Black" (2012) and his latest LP "MAYDAY" (2016).